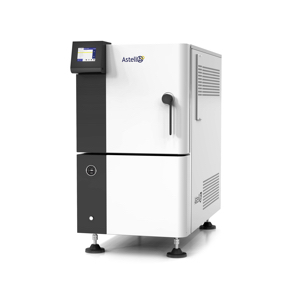 Desktop autoclaves are extremely useful for providing quick, reliable sterilisation for small implements when space is at a premium. Traditionally these machines have been expensive and high maintenance; however through the reliability of Bürkert's solenoid valve range, MDS Medical has changed the status quo to offer high performance, low maintenance desktop autoclaves at reasonable prices. 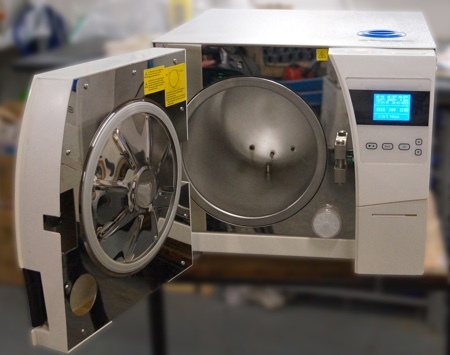 Autoclaves sterilise equipment in a sealed chamber by replacing air in the chamber with steam. During this repeated process, known as 'pulsing', a vacuum is formed to remove the air and excess moisture as it is mixed with and then replaced by the steam; once the air has been replaced then the pure steam is used to complete the sterilisation process. 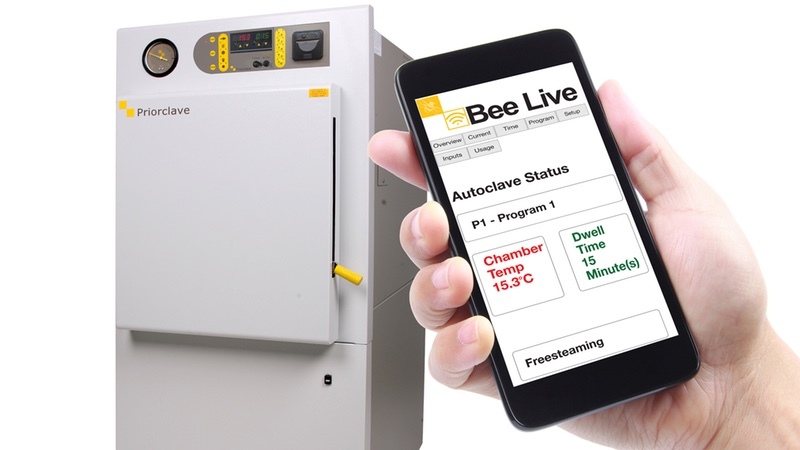 The pressure can vary inside the autoclave which adjusts the internal temperature and pressure to match set-point levels. The process aims to kill all bacteria during a set period of time and at a temperature of 134°C plus while leaving no potentially hazardous moisture residue on equipment afterwards. An MDS autoclave sterilisation cycle generally lasts between 30-35min, which if used 15 times a day (typical for a dentist), works out at roughly between 7-8 hours of use daily. 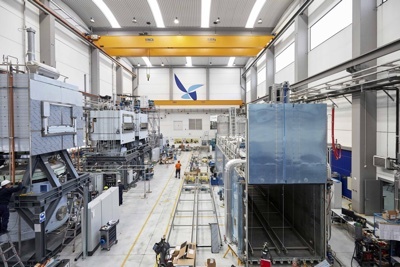 The autoclaves remove 99.9% of all air inside the chamber, guaranteeing a successful cycle. The heating stage of the process usually lasts between three and four minutes – depending on the amount of contaminated equipment being processed. David Thomas, Director of MDS Medical, has more than 40 years' experience in designing, building and servicing autoclaves. 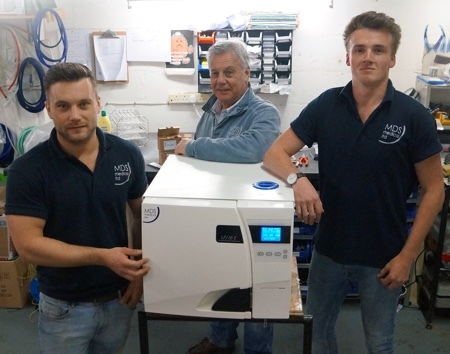 At MDS, he set out to provide an affordable, but high performance desktop autoclave through collaboration with an established volume manufacturer that would make the cases for him. Part-built autoclaves are shipped to MDS in Corby, Northamptonshire, UK for final assembly in preparation for the heavy duty use that they will endure. Building for MDS customers always includes the installation of Bürkert solenoid valves. Characterised by their small but heavy duty construction the valves help provide dependable performance despite frequent use, boosting the operational lifetime and ruggedness of an already proven product. They also ensure that all MDS autoclaves are HTM01-05 compliant and carry a European directive CE mark. 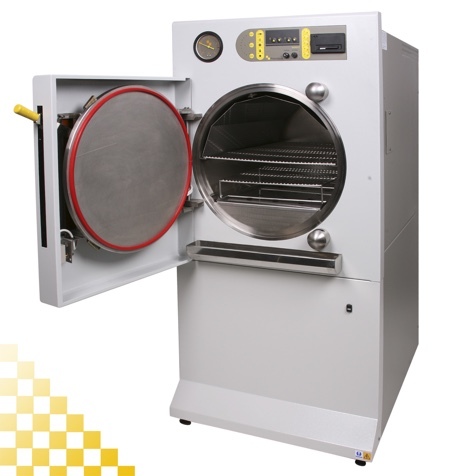 MDS as standard offers a warranty for 12 months or 1,000 cycles for its autoclave customers. Thomas holds a high opinion of the Bürkert products he uses. 'These are the Rolls Royce of valves,' he comments, standing next to a part-built example of one of his custom autoclaves. This particular model incorporates two Bürkert Type 6014 brass bodied 3/2 way miniature solenoid valves and a single Type 6013 2/2 way normally closed valve. This model is part of the 8 to 12 litre range – ideal for tattoo and chiropody businesses. For veterinary and dentistry applications, 18 to 22 litre variations are supplied. 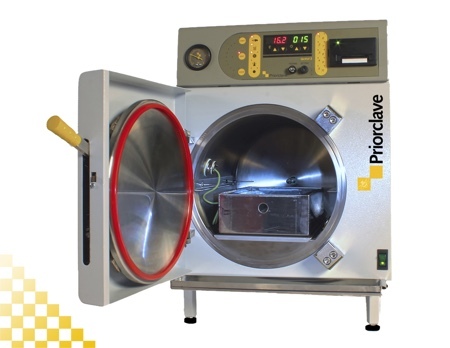 Each autoclave is designed especially for the end user, with Thomas's experience and expertise enabling a wide range of options. The specific benefits of the valves are clear. Typically, instruments harbour residue, oil or other matter they have been exposed to. This residue can be damaging to the operating efficiency of a typical solenoid valve, especially the valve seat. As the valve opens and closes to allow fluid through the system, so the valve seat comes into direct contact with the media. 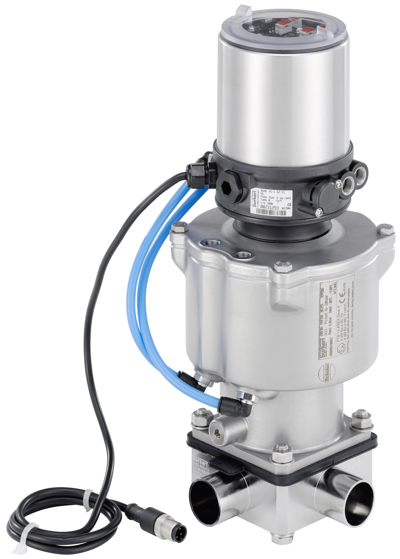 However, the Bürkert valves Thomas uses have seats made from highly durable FKM, which ensures that the valve seat can withstand the effects of steam and residue to perform efficiently despite exposure to different substances in the system. This impressive reliability is further illustrated by the lack of maintenance the valves require. 'Usually we recommend to our customers that a busy autoclave is serviced every six months, however with Bürkert valves they can last up to two years or even longer,' Thomas explains. 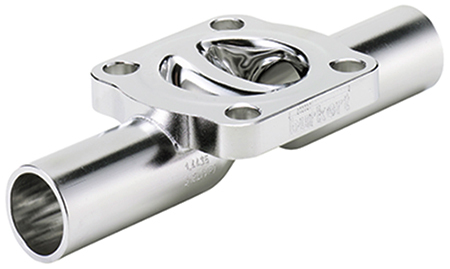 Fundamentally, the valves allow us to transform a reliable autoclave into one specialised for constant heavy duty use; combining contamination resistance and low maintenance costs to provide genuine cost-effective performance. For end users, this can only be a good thing. Another aspect of the business highlights the trust MDS invests in Bürkert valves. MDS operates a maintenance service for any brand of autoclave, helping to keep this essential equipment for businesses operation. If problems arise with an autoclave valve from a different manufacturer – then MDS will automatically replace it with a Bürkert valve. 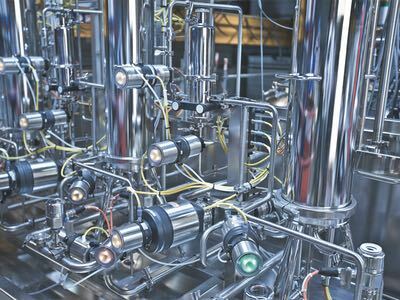 The Bürkert valves revitalise older autoclave models and can push them well beyond their standard service life; consequently lowering costs and increasing confidence. 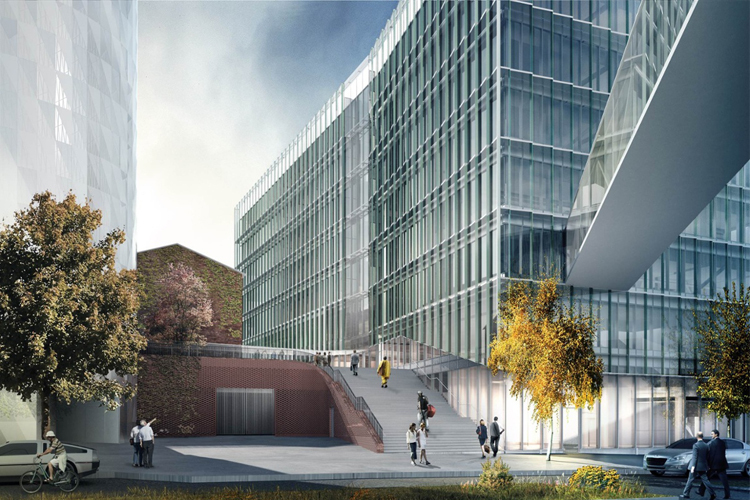 This not only saves businesses the outlay of replacing an entire unit but also ensures that they will not lose time to further failures. 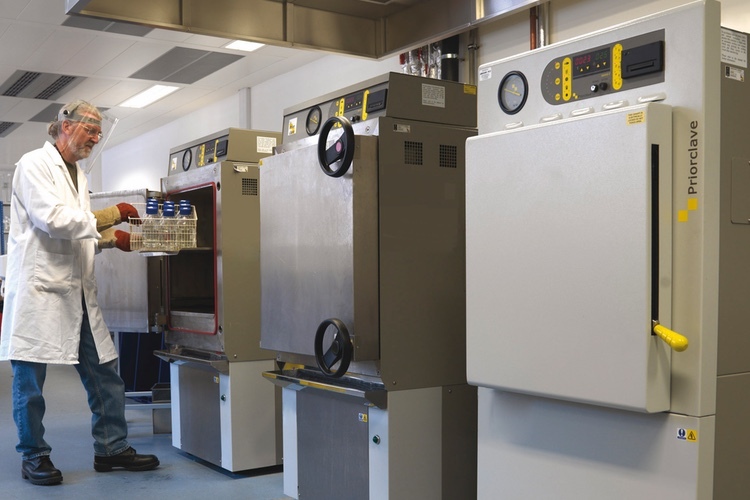 Without an operational autoclave, vets and doctors cannot work, so MDS aims to tackle downtime head on with a cost effective reliable solution.